I summarise here, the sixth post in a series, the results of my short but intensive investigation into BBX. It’s simple, concise and damning. Founder and chief motivator, Michael Touma was a Lebanese who made good in Australia with his French wife Mireille and four daughters. 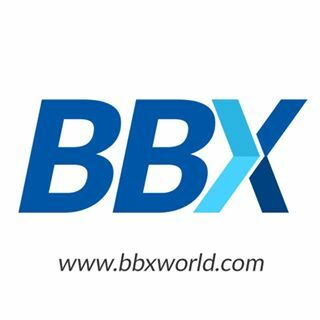 He called his barter business BBX which mimicked Bartercard in it’s growth strategies. timing in the market place, international growth, member acquisition strategies and much more. Bartercard was a bigger brother more of the corporate ilk and BBX more as a smaller operation, the Touma family kingpins around Michael’s personality and salesmanship. International growth occurred through the selling of international franchises, New Zealand, India, China, UK, Malaysia, Singapore and so on. Some had pockets of success. Some went through multiple ownership changes. Almost all countries struggled to some degree at some point of their existence. New Zealand, one of the longest agencies in existence never really fired. China took off with a hiss and a roar and got them all excited but then went AWOL. The recent UK operations have built steadily, and the Australian ones have been up and down as various people fed in skills, energy and money. Michael’s style was to bring huge enthusiasm and positive thinking into a situation; talk big; over-sell and under-deliver. He had the capacity to both create and manage mayhem but left a trail of dissatisfied punters both at a member level and at a management/franchise level. Internal bickering within the family (husband-wife; sibling rivalry and parent-child) was common but they, fostered and promoted the Touma family meme that they, the Toumas, were the only ethical operators out there. Michael suffered a heart attack, became incapacitated and died, leaving his family to take over the reins for the last 14 months or so. After family in-fighting Carolin McDonald (second daughter) essentially took over and currently runs the show, COO prior to her father’s death, CEO and more after. In Q1, 2017, following a long period of dissatisfaction with both the original terms of Michael’s sale of the Thailand franchise and repeated incompetence and lies from BBX’s new operators, Thailand Agent Cameron McKean resigned then announced this action to the other BBX fanchisees and their staff. Apart from announcing his actions and stating why he was resigning, his internal email detailed fourteen questions that he believed BBX people should ask of their management. I received a copy of this email via the Tipline, contacted Cameron for a personal run through on his story then contacted BBX CEO Carolin McDonald for her side of the story. I ran this investigation ran for approximately 7 days fulltime and received information from both within and outside of BBX more than sufficient to conclude that 13 of the 14 questions the whistleblower asked had been proven to be based on fact and that several of them indicated very serious issues that related to questionable legal and moral conduct of BBX management. The tenth question was explainable but had a slightly different answer – best described as understandable in the circumstances; representing an important issue [still unresolved] but actually asked in a way that brought “no” for technical answer. Marketing materials to put bluntly are simply BS. China has serious problems for BBX and is a huge mess; Thailand has gone; NZ, Malaysia, India, Singapore are all dead or exist in name only. The numbers of claimed cardholders have no auditing; are arguably mere fabrications and represent nothing more than hype. Reality is a tenth or less of these claims and even then there is a huge difference between a BBX member which is can basically be just someone on a database (sometimes BBX members are simply promotional members who haven’t paid any join-up fee nor have they traded, nor are they someone who will EVER pay anything!) and IRTA’s definition of a member (who has actually traded in the last 12 months). Upon investigation the likely probability of action that would either close the business down or put it into external management was ultra high, in the category of “certain”. Getting the facts out there ASAP was appropriate and necessitated a firm fast notice to the public. My projections cannot include timeframes of BBX’s demise because I simply do not know enough yet. This series of posts is intended to get the core message out there loud and clear . . . from what I have been able to establish, the end is certainly nigh and for some quite unusual circumstances and reasons it is sure to be sooner rather than later; with a crash, rather than a gradual demise. I also wish to address the consequences of releasing my investigation. In some cases only a few read my words. In others they are disseminated widely by vested interests. Again, I strongly suspect that widespread knowledge of my investigation here into the BBX world will be a key factor in hastening its inevitable end. Should others take my words and spread them the fallout must be huge, for there is a large pool of currently deceived, misinformed, ignorant and dissatisfied people out there. I don’t need it for I have gone live with enough, but I do expect a deluge of real, verified and supporting information and evidence to arrive as this information sharing occurs. In my next post I share some reflections on the investigation giving an inside look into the process of digging around in other peoples’ lives and business and extracting reality, when there are competing interests and an intent to deceive. It hasn’t been easy for sure, but the guts of it is pretty simple: BBX has been called to account and found wanting . . . pants down. Their paddyiwack is about to come. Truth is self-evident to the humble, has no need of violence & is never in a hurry.